In some circles vegan and gluten-free are buzz words for DO NOT EAT. I will be the first one to tell you - do not give into the peer pressure. 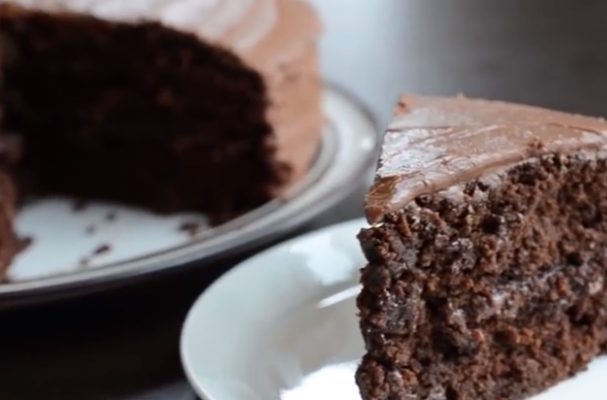 This vegan and gluten-free chocolate cake is worth baking. Not only is it moist and flavorful but it is also really easy to prepare. The best thing about it is that it does not require any exotic flours or special ingredients. Most gluten-free eaters have rice and oat flour in their pantries or they can be easily found at the local market. The real kicker in this recipe is the vinegar which gives the cake a tender crumb. One bite and any eater will be convinced that vegan food is still good food.